Welcome to stampdutyregistration.com a complete real estate web portal for all real estate related topics across India.The terms stamp duty, registration are usually used in context of property transactions and hence the name of the portal. Website covers all types of professionals related to real estate like stamp duty agents,real estate developers, real estate consultants, home loan agents, vastu experts, interior designers, architects, property valuers, property advocates,electrical contractors,packers and movers,land surveyors,architects and real estate properties, mumbai properties and developer projects. We have included search boxes to search for real estate professionals in your location or area. You can search a professional by city name, location name or by services which they offer. Our website divided each type of a professional like stamp duty agents, real estate developer's so on into location wise. It means you can easily and simply find a professional in your area. It is possible you will find a multiple professionals in a same location so by reading their nature of work or nature of job and description of their business which suits your needs to fulfill your requirement you can select that professional or agent. If you are looking for properties in anywhere in any location in India then yes we have included all residential properties, commercial properties and new projects across India. These properties are posted by the developers, property owners and other real estate agents so you will get a direct contact number to call them. Its so simply to find your dream home or property on stampdutyregistration.com in just 30 secs. If you have property to post then yes you can post your property with all information and contact details. You need to register yourself with your email id and once your account is activated then you can post multiple properties. If you are looking for a property then yes you can post your property requirement with all information and contact details. You need to register yourself with your email id and once your account is activated then you can post multiple property requirements. We have listed sample legal documents so you can search for documents like: Agreement for Sale, Sale Deed, Leave and License Agreement, Gift Deed, Lease Agreements, etc. Participate in our q & a session and get a chance to post your question or any query. Listed real estate professionals will reply you or will answer to your query. Stampdutyregistration.com absolutely for real estate professionals and it supports to grow their own business. Yes now real estate professionals can grow their business by registering their business or services which they offer into the website. Simply you have to register by using your company email id or personal email id with complete contact and business details. Please make sure that your email id and contact details are correct for verification process and kindly add all your business detail properly because customers will read your services or business which you offer and contact you. Try to update your business details regularly once in a week to generate more customers. If you are a real estate professional then you need to register on website with your personal email id or company email id and with a complete details like add your business details or nature of job, add your company logo, add proper contact details to get direct calls from the customers. Make sure you participate in our Q & A session answers to the queries posted by the customers this will help to reach more customers and explore your own business. If you are a property agents and looking to get a business then you are at the right place. 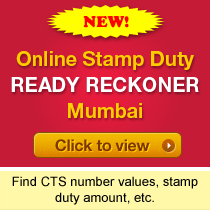 On StampDutyRegistration.com you can post your property and post your property requirement. Enlist your property with all the necessary details more the details you add more the presence we create for you.Stampdutyregistration.com is place to market your properties. For Real Estate Builder Stampdutyregistration.com is a kind of business tool to market projects. We are providing unique mini websites for an each project of a developer with company logo, company description and space to display other amenities. It will look like a complete site only for that particular project. To market any project anywhere in India enlist your projects now on website. Register your services with us and make sure that your clients reach you easily when they need your services. We have listed different types of property related calculators like Mumbai Online Ready Reckoner Calculator, stamp duty calculator, housing loan emi calculator, leave and licence calculator, area calculator, stamp duty rate calculator and some other information real estate investments. I want to Know my area's CS no. How to check that Flat is Registered in whose name in Mumbai before buying a flat ? Where I can get the stamp duty valuation of a property for prior years say 2008 to 2015 for a property located in Andherei Mimbai.